The modern video games gave an option to the users to capture game play through screenshots and videos and share it with your friends and let them know about your high scores. In fact, Xbox One and PS4 also comes up with this feature like we used to capture the screenshots of the desktop PC games. 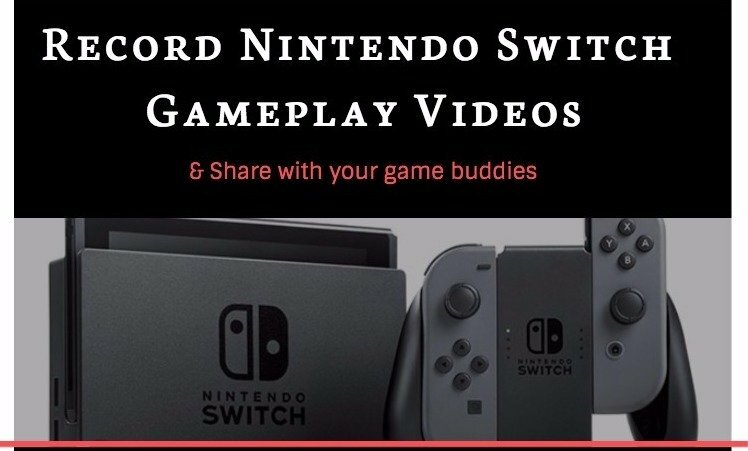 Though Nintendo Switch games are the most trending and desired yet conventionally they did not have this feature of recording gameplay videos on Nintendo Switch. But with the growing technology, the sky is the limit. You can set parental controls in Nintendo Switch if you want to keep your kids away from playing certain games. Nintendo Switch has come up with the capture screen functionality where you can record the earlier 30 seconds of your video game play. This feature has made the Nintendo Switch games more competitive as you are now able to flaunt by sharing the epic winning moments of your game. The procedure to record game play videos on Nintendo Switch is quite simple. This article will cover the tutorial that will help you to record gameplay videos on Nintendo Switch that too very easily. Have a look at it. Do not forget to check out some of the best Nintendo Switch accessories if you are really serious about your gaming console. 1. The prerequisite is to check that Nintendo Switch gaming console has been updated. To check this, go to the Settings–> System–> System Update to make sure it is up to date. 2. Till now, there are only certain games that allow you to capture and record video game play. These games are Skyrim, The Legend of Zelda: Breath of the Wild, Arms, Mario Kart 8 Deluxe, Splatoon, etc. which have this feature of capturing video. 3. On the left side of the Pro controller, there is a Capture button. Press that button to capture the last 30 seconds of our game play. 4. To access the main menu where all the captured clips have been stored, just press the Home button. Then, tap the Album button to watch all the clips. 5. Select the desired clip from the bunch, edit or trim it and share it to your friends via Facebook, Twitter, WhatsApp, etc to make the games more happening than ever. That’s it, this is how you can record gameplay videos on Nintendo Switch. Through these simple steps, easily capture and record the adventurous moments of your game and take the prestige of sharing it everywhere. If you have any doubts in recording gameplay videos on Nintendo Switch, mention in the comments below.